Author Tawa Witko lives on the Standing Rock Indian Reservation with her children. They are accompanied by their many animals, which includes an Australian Shepherd/Border Collie mix named Bella, a couple of ornery cats (Edward and Lil Bit) and their horses, Eagle Bear and Wild Spirit. She and her family enjoy attending pow wows, participating in tribal ceremonies, and living a quiet life. Ms. Witko is a licensed clinical psychologist, a full-time writer/editor and one of the co-founders of Winyan Press, LLC. 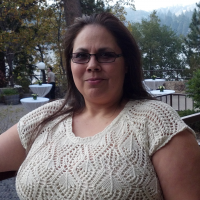 She is a multi-genre author who writes Young Adult Fiction, Crime & Suspense Stories, Mysteries & Thrillers, Adult Romances, and Native American Fiction.